Inflation! Interest Rates Rising! Trade Wars! Recession! Have you seen any of these words in headlines lately? Of course you have, because advertisers need to get paid. Do you wonder how these future possibilities affect what you should be doing with your investment strategy? After years of a low interest rate, low inflation environment, and general expansion of stock valuations — since the 2008 recession — as well as many socio-political disruptions, you probably get the feeling things are changing and there are many more changes to come on the horizon. And, you would not be wrong. Having said that, you would not be wrong saying that on any given day. 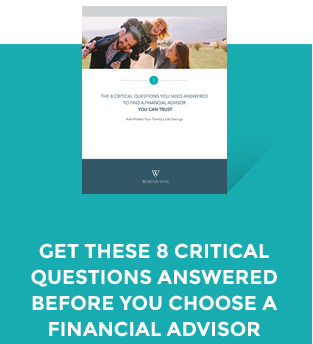 So, let’s explore this a little more and see how what’s to come might affect your life, your family, your goals, and your investment performance. One of the more oft-quoted sentiments is, “Insanity is doing the same thing and expecting different results.” This permeates investors’ minds when they feel like external factors are changing and they start wondering whether these changes necessitate a change in their investment strategy. With investing, the “insanity” quote might be the right perspective or it could be a detrimental perspective; it all depends on your current investment strategy. If your (or your advisor’s) answer to dealing with changes in the socio-economic landscape, for example, is to reactively start trying to predict what particular investments will be most effective based on your assumptions of the coming changes, your strategy will most likely be detrimental to your investment return. How so? Well, effectively you are gambling on what you think the particular winners and losers will be. Why do I call it gambling? Simply put, you are trying to predict those winners and losers. If you want to gamble with your hard-earned money, do it right; go to Las Vegas and have fun. With money you can’t afford to lose, sticking with a strategic plan and maximizing diversification has historically rewarded investors. We live in a world where we cannot precisely predict how any particular stock or bond will react to actual events consistently year by year, decade by decade. What happens when we can’t affect or forecast the things that are occurring? Well, we have some levers we can adjust within an overall portfolio allocation that historically over long periods of time have generally resulted in higher investment returns. And we can implement those strategies at a cost that does not exceed the value they return — a point often lost on investors when they are tempted by exotic investments. We cannot change the fact that we cannot precisely and consistently predict the future and how future changes will affect each stock or bond individually. So, effective long-term investing and achievement of goals necessitates a real change in attitude of what is possible and how to invest through changes. The point is that even if you are expecting inflation, higher interest rates, or a correction in the stock market, you don’t know for sure if, when, or to what magnitude those events will actually occur. Furthermore, if those events actually were to happen exactly as predicted, it is most likely unclear exactly how they might affect each of the thousands of securities out there. And finally, if you are reading these things in headlines and articles, it’s most likely the case that the markets have already priced in these possibilities, making it more difficult to exploit any advantage you think you might have. So, trim your sails for the long run. Yes, you’ll feel the crests and troughs of short-term market movements, but you’ll be better off keeping a steady hand on the tiller. Table disclosures and http://worthpointeinvest.com/disclaimer/) performance for periods greater than one year are annualized. Selection of funds, indices and time periods presented are chosen by the client’s advisor. Indices are not available for direct investment and performance does not reflect expenses of an actual portfolio. Past performance is not a guarantee of future results. Russell data copyright © Russell Investment Group 1995-2013, all rights reserved. The S&P data are provided by Standard & Poor’s Index Services Group. MSCI data copyright © MSCI 2013, all rights reserved. Barclays Capital data provided by Barclays Bank PLC. As can be seen in the indexes, the third quarter was a healthy one for investors. The S&P 500 (Large U.S.) led the quarter with a 7.71% return, while the Russell 2000 (Small U.S.) was the next highest performing index, albeit significantly lower at 3.58%. International markets (EAFE) were slightly positive, while Emerging Markets was the only indicated index that had a negative return for the quarter of -0.95%.For the quarter, those investors who were weighted toward large U.S. companies will have mostly likely seen better returns than those who were globally diversified, with a higher exposure to smaller companies. Portfolios that are globally diversified and weighted more than most to smaller companies would most likely have experienced a lower return than those focused on U.S. large companies this quarter. There is solid academic research and actual historical data that compels investment strategies to weight portfolios toward smaller companies and other factors. The same research also tells us there are some periods where these investment strategies don’t appear to be working as well as others. From a long-term perspective, a single quarter, a year, or even several years is considered a blink of an eye and looking for actionable information in a short time period is grasping at straws. As such, we are projecting out over decades for the benefit of our clients. The bond indexes held up relatively well, with all but the U.S. Aggregate Bond Index being slightly negative. Interest rates increased in the U.S. during the third quarter. The yield on the 5-year Treasury note rose 21 basis points (bps), ending at 2.94%. The yield on the 10-year Treasury note increased 20 bps to 3.05%. The 30-year Treasury bond yield rose 21 bps to 3.19%. In terms of total return, short-term corporate bonds gained 0.71%, while intermediate-term corporates returned 0.80%. Short-term municipal bonds declined 0.11%, while intermediate-term munis dipped 0.06%. Revenue bonds (‒0.16%) performed in line with general obligation bonds (‒0.14%). It’s interesting that although there was an increase in interest rates, some bonds actually had a positive return, which is the opposite of what most investors would expect to happen.